Does your business need fast and reliable commercial waste removal in Poplar E14? Then you’ve come to the right place. We have been providing commercial waste removal Poplar businesses depend on and recommend. They love our fast, flexible services and low prices. And we’re confident you will too. We are the experts when it comes to business waste removal providing a fast, reliable service which can be custom made to suit the precise needs of your company. We believe that our cost effective, professional services are second to none. Many of our valued clients benefit from generous discounts and incentives as they chose to work on a contracted basis. However, this is entirely up to you and your business needs. 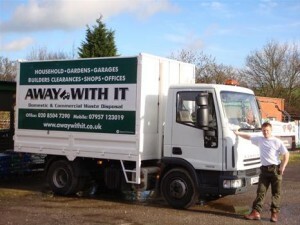 We are just as happy to work on an ad hoc basis and provide an on-demand commercial waste service. We work 7am to 11.30pm seven days a week so we’re always there when you need us. We are fully licensed waste carriers so you can rely on us to provide professional service and dispose of your business waste responsibly. 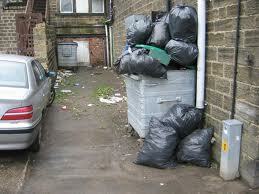 Same day collection services can be arranged so if you need commercial waste removing quickly we’ve got you covered. Our services are available from 7am to 11.30pm every day of the week. Our transparent pricing policy means that the price we quote is the price you pay. There are no hidden extras for labour, transport or disposal fees. We will provide a free waste audit for your business to ensure that you receive the best, most cost effective commercial waste removal package for your needs. 80% of the waste we collect is either reused or recycled. If you have questions or would like to discuss your requirements for commercial waste removal Poplar with a member of our experienced team give us a call on 0208 504 7390 or 07957 123019. They are here from 7am to 11.30pm seven days a week to take your call and will be happy to explain how our services work and put together a bespoke package to suit your business needs and budget . They’ll also provide a competitive quote on a no obligation basis. Alternatively, submit your details using our quick and easy online enquiry form and we’ll get back to you the same day.